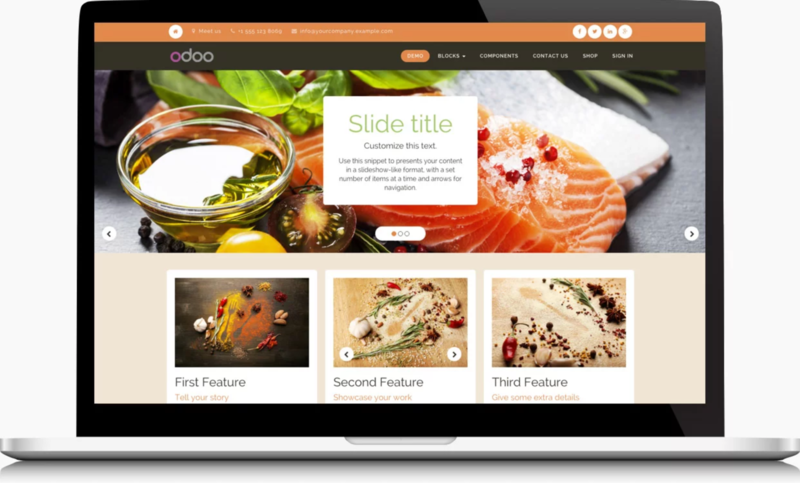 Review: "You can do whatever you want with Odoo, from ordering lunch to selling online." Well I'am an Odoo consultant and also an Odoo user, internally at our company we use it for Sales, E-commerce, marketing, HR, Projects, Recruitment, CRM and more. Scalability, Odoo is highly customizable by developers and end users, once installed with a little bit of practice and training users can maintain Odoo by themselves. Not all localizations are included in the core. 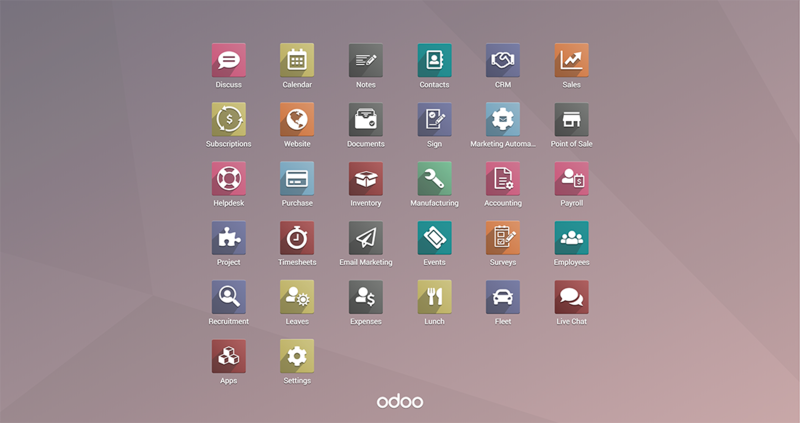 Odoo is flexible but is a generic suite of business apps, it has the core of every business type but is not vertical for special needs. Good news is that you can modify it and make it work for your industry as you wish, and I think that if you use a consultant for the implementation of Odoo in your company, few things can go wrong. In my experience, things go wrong mostly because of the lack of knowledge of the tool. If you get trained and read the documentation, there are a few things you cannot do with Odoo. Review: "Odoo is a beast! Extremely powerful and flexible to do many things out of the box!" We provide services using Odoo. We have launched an e-commerce website based on Odoo 10. We actively maintain the backend along with the user role management and various technical aspects of Odoo, such as developing custom modules. We implement extra functionality by extending Odoo and various other stuff related to Odoo. We also support users to deploy Odoo on their production server. Odoo is extremely powerful as it provides many applications out of the box. So, getting started on something is extremely easy with Odoo. However, thorough Python knowledge is required to customize or extend Odoo to make your product unique. Hence, if your app requires something special you might have to reconsider the complexity of developing a new app using some other framework, or extending Odoo. Review: "Odoo does the job for less if you go community"
Odoo is the ERP of the company. It helps with sales, manufacturing, purchases, invoicing and accounting. It is our MRP and accounting software. Possibility to customize the fields and some workflows is rather simple and a lot of tutorials are available on the internet. The community version is free as are most modules and some paying modules developped for specific purposes are available in the marketplace. It is easy to configure products with accounting, everything is smooth. Community version is sometimes hard to maintain, needs some on-premise knowledge (IT) or having business with an Odoo partner that is sometimes expensive and unreliable. Enterprise version is as expensive as other ERP in the market. Reporting is horrible, not a lot of possibility to integrate seamlessly with a third party BI platform. I would go community version for a small startup, Odoo can be customized quickly and refined as a company matures. It's less suited for a big company already using an ERP with lots of workflows and integration. 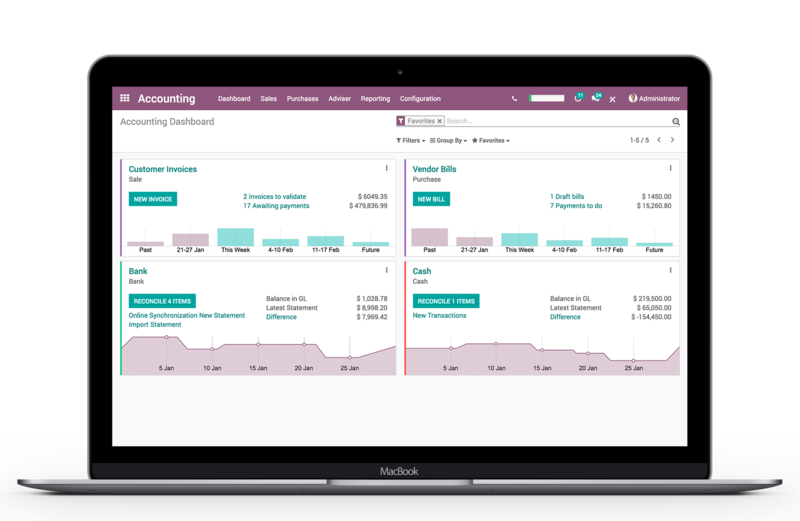 Odoo Review: "All-in-one business management tool"
Odoo is used as the main ERP for the company and mainly for our sales department. However, three other departments such as the logistics and finance departments are also using it, including the support department that I am the manager of. It used for all of the sales related business processes as well as finance operations including the logistics that are needed to carry these tasks out. The operations carried out with Odoo include basically everything starting from the first step of selling to ending with the invoices, and sales orders to shipping. Easy to use and user-friendly interface with the detailed instructions alongside whenever it's needed. If the instructions do not help or you need any further assistance their support team is really accessible through email. The response rate is maximum 1 hour. The ability of the system to be the all-in-one place for different business operations. As in terms of sales, in our organization, it unites and serves almost every task related to sales starting from invoicing and ending with the shipping. The modules inside the Odoo are well adapted to each other for different but connected operations making it comfortable to understand the process flow at a functional and technical level. Some of the 'landing pages' in the system are not user actionable/changeable. For instance, setting the pipeline of the sales, which appears for every salesmen user, even if there is no need for him/her to set it. It can't be turned off. Being open source software, Odoo should be more easily tweakable. However, it is difficult to find the proper information for the developers about how to do it. The is a lot of information but not in a well-organized way. As in my case, a whole four departments and their operations/assets are accessible through the system. It is really easy, for instance, to sell the product to the end-user and carry out all the necessary operations such as creating the quotation and easily export the proforma invoice, confirm thesale and assign it to the logistics, etc. All these are done in a really easy way and not a big effort is needed if you are well adapted to the system. What's more, the system is really fast and it does not lag with excessive operations. 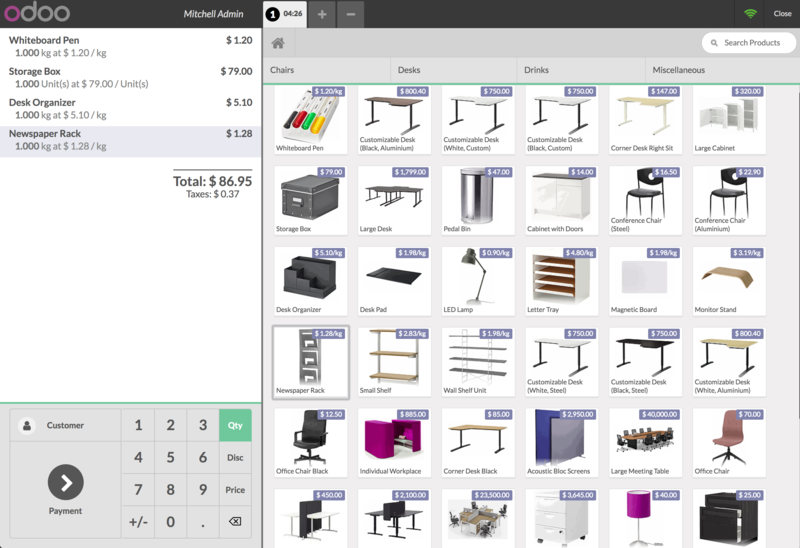 Odoo is a fully integrated and customizable open-source suite of business applications including sales, CRM, project management, manufacturing, inventory, and accounting in one software solution. According to the vendor, Odoo was designed to meet the needs of companies of all sizes and budgets. The depth of integration within Odoo helps users to reduce redundant manual processes. Every module is interconnected to provide an integrated experience from app to app, and users can automate many processes that would otherwise require manual inputs into multiple applications. Odoo keeps all business functions in one place allowing teams to collaborate with other departments from one unified platform. Odoo is open-source software and offers security features to business technology and software development communities around the world. The Odoo market offers numerous modules and apps that the vendor says are suitable for a variety of business needs. New customers get a discount on the initial number of users purchased. ($20.00 USD instead of $24.00 USD).